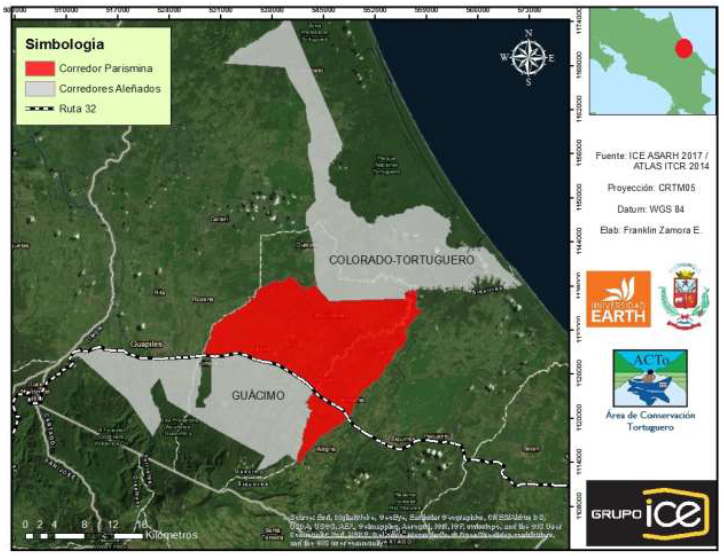 EARTH University, the Costa Rican Electricity Institute (ICE) and the Tortuguero Conservation Area have collaborated for the better part of two years to oversee the creation of a biological corridor in Caribbean Costa Rica. Officially named Corredor Biológico Río Parismina, the new corridor – nicknamed “ruta del pez bobo”, or route of the bobo fish – was recently approved and recognized by SINAC, Costa Rica’s national conservation and parks department. A biological corridor is a continental, coastal or marine territory providing wildlife safe passage between isolated protected areas. Such corridors allow for the preservation of biodiversity as well as critical ecological and evolutionary processes. Similarly, they serve to facilitate and bolster the socio-environmental commitment of neighboring communities, who will support the protected area and enforce the responsible use of its resources. ​In Costa Rica, establishing biological corridors is considered the second most important conservation tactic. At present, the tropical nation boasts 44 such corridors, representing around 33 percent of the country’s land. SINAC’s campaign to install corridors throughout Costa Rica will allow countless species to safely migrate from their stressed present-day habitats to suitable ones elsewhere – an attempt to innovate against the forthcoming effects of climate change on the nation’s abundant biodiversity. An additional objective of the corridor creation is educating nearby human populations on how to care for and sustainably use their area’s precious natural resources – improving the quality of life for said residents and facilitating their own adaptation to climate change. The newest corridor establishes the Parismina River and its four tributaries (Guácimo, Dos Novillos, Destierro and el Silencio) as critical connectors. It focuses on the conservation of migratory aquatic species, such as the bobo fish (Joturus pichardi), gobies (Sicydium sp., Awaous banana), mountain mullet (Agnostomus monticola), Atlantic tarpon (Megalops atlanticus) and four shrimp species (Macrobracium heterochirus, Macrobracium olfersii, Macrobracium acanthurus, Macrobracium carcinus). The bobo fish (Joturus pichardi) is one of the aquatic species that inspired the creation of the Parismina corridor. It is found in both rivers and sea throughout the Caribbean, from Florida to Venezuela. Since 2015, Costa Rica’s Ministry of Environment and Energy has declared it off-limits to fishers during the month of October, the species’ reproductive season. The bobo requires a number of specific habitat features that, when properly protected, benefit many other species. Among the musts are the oxygenating presence of rapids along the banks, availability of rock-adhered algae for consumption, and connectivity between riverways to enable the fulfillment of its entire lifecycle. The bobo’s needs have turned it into an important “umbrella species” – a species whose conservation indirectly benefits the conservation of others. 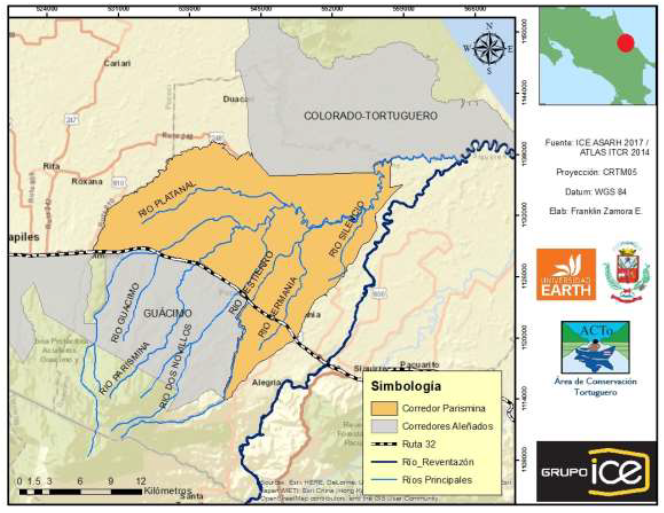 The Parismina corridor covers 32,203 hectares – more than 8,000 of which are located in the Río Jiménez district and 7,000 in the Guácimo district. It connects two important conservation areas – Humedad Caribe Noreste (RAMSAR) and Zona Protectora Acuíferos Guácimo Pococí – both of which are crucial for the protection of the almighty jaguar (Panthera onca). 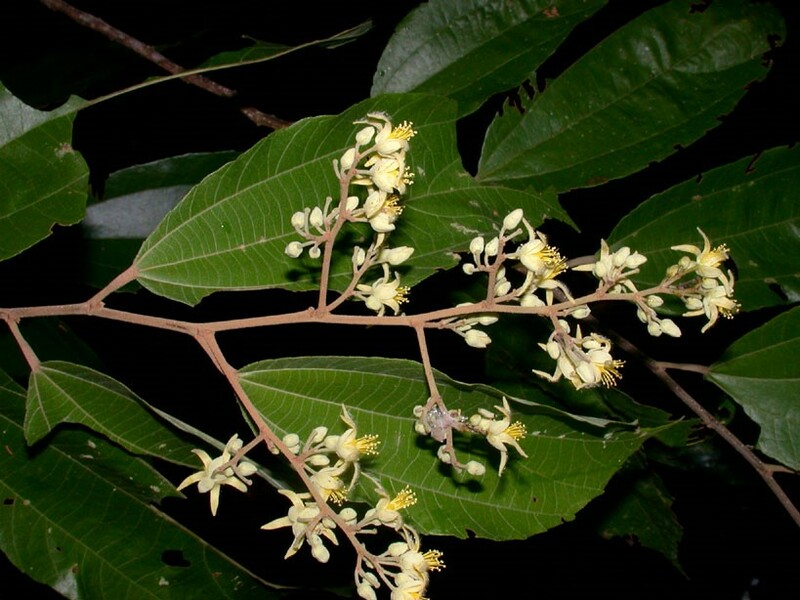 The Goethalsia meiantha and Luehea seemannii are two tree species of great ecological importance within the corridor. Around 19 percent of the Parismina corridor’s territory is forested. ICE’s floristic composition study of the area found 252 species from 55 families and 139 genuses – around 19 percent and 7 percent of the country’s respective totals. Of those species recorded, 237 are native to Costa Rica. The area’s animals are categorized as aquatic insects, shellfish, fish, birds and non-flight mammals. Insects (56 families and 123 genuses): This group serves an important role as the base of the aquatic food chain and indicators of water quality. 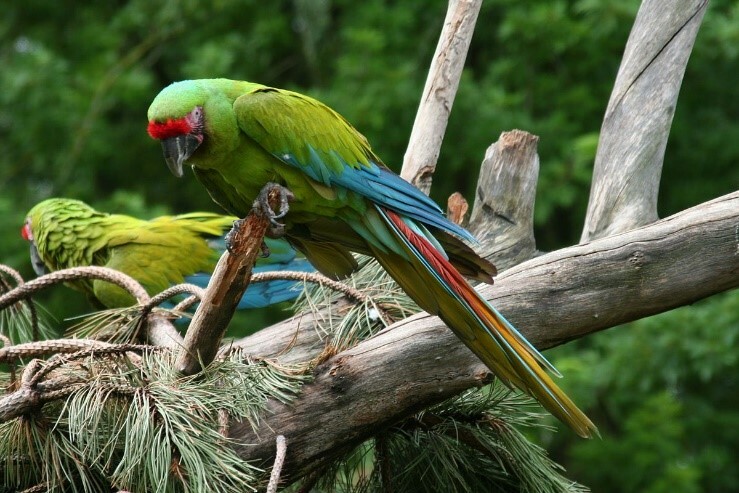 Due to the illegal pet trade and habitat destruction, the great green macaw finds itself on the endangered species list. Birds: Among the logged birds, the majority possess high plasticity with respect to habitat change. Some examples include the great kiskadee (Pitangus sulphuratus), Passerini’s tanager (Ramphocelus passerini) and clay-colored thrush (Turdus grayi). Several avian species are of high ecological value, including some classified as threatened by the International Union for Conservation of Nature and Natural Resources, including the black hawk-eagle (Spizaetus tyrannus), barred hawk (Morphnarchus princeps), great green macaw (Ara ambiguus) and black-collared hawk (Busarellus nigricollis). Mammals (23 species): Among them are the raccoon (Procyon lotor), coyote (Canis latrans), jaguar (Panthera onca) and Baird’s tapir (Tapirus bairdii). 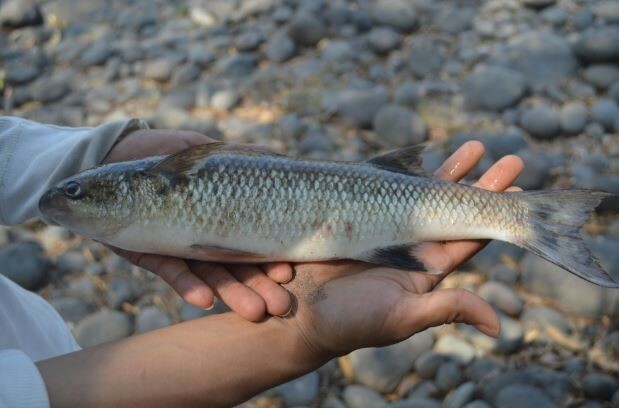 The water quality of the river’s upper and middle sections appears to be high, thanks to the limited presence of agricultural and livestock activities as well as the absence of urbanization projects. Conversely, the quality of the lower section appears degraded, due to some agrichemical contamination from the population centers dotting Highway 32. According to ICE, the river and the forest are the two resources mentioned most often by the 20 communities bordering the corridor. Once prevalent howler monkeys, deer, panthers, wild pigs and white-nosed coatis have all seen their populations decline over the past few decades. These realities have helped convince local residents that conservation efforts are necessary for their economic evolution as well as combatting climate change’s effects. With this initiative, EARTH University reaffirms its commitment to the conservation of the local area’s native flora and fauna – along with contributing to SINAC’s goal of increasing the country’s ecological connectivity by 2020 and bolstering citizen environmental participation.